Timeshare Cancellation just got easier; now timeshare owners can chat in real-time with Timeshare Experts. Gone are the days of waiting for emails or callbacks to answer your pressing timeshare complaints. Many timeshare owners are stuck with unwanted timeshares that they purchased due to the lies and misrepresentation of timeshare salespeople. Timeshare scams and fraud are on the rise, and unfortunately there are new victims every day. But there are resources and organizations that can help. Timeshare Advocacy International LLC is the leader in helping consumers legally cancel their timeshare contracts. They have helped thousands of timeshare owners who felt they were deceived or misled in the purchase of their timeshare. TAI promises to help any timeshare owner get the answers and support they need. Timeshare Advocacy has always been on the cutting edge of customer service in their industry, but now they are taking it even further. Timeshare Advocacy International’s website, TimeshareCancellation.com, was the first resource for timeshare owners to offer REAL-TIME advice and answers from a timeshare professional. TimeshareCancellation.com has introduced a new chat service for any visitor to their site to ask an expert about their timeshare complaints and receive real-time responses. Timeshare Advocacy believes in informing and helping timeshare owners any way they can. Even if they can’t take a case for cancellation, they will provide the owner with all the resources at their disposal. Gone are the days of waiting for emails or callbacks to answer pressing timeshare complaints. 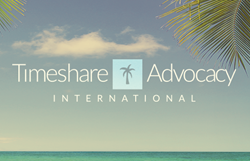 Timeshare owners can get the advice they need today, right now, with Timeshare Advocacy International. About Timeshare Advocacy International: Their goal is to help any and every timeshare owner who feels they were misled or deceived in the purchase of their timeshare. They have successfully canceled thousands of contracts and have become the most trusted resource in the timeshare cancellation industry. They evaluate every consumer’s case individually to best determine how they can help. Their Mission: Changing the timeshare industry, one client at a time.